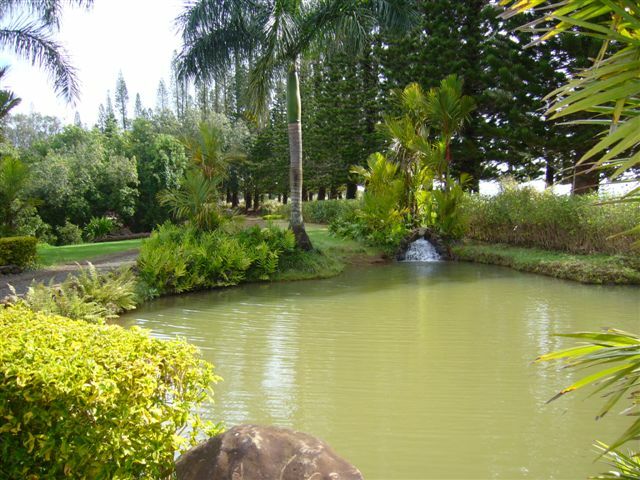 Kauai Ranch Guest House is a solar powered, off the grid 2360sq feet 3 bedroom/2 bath cottage located within the private gates of Kauai Ranch. 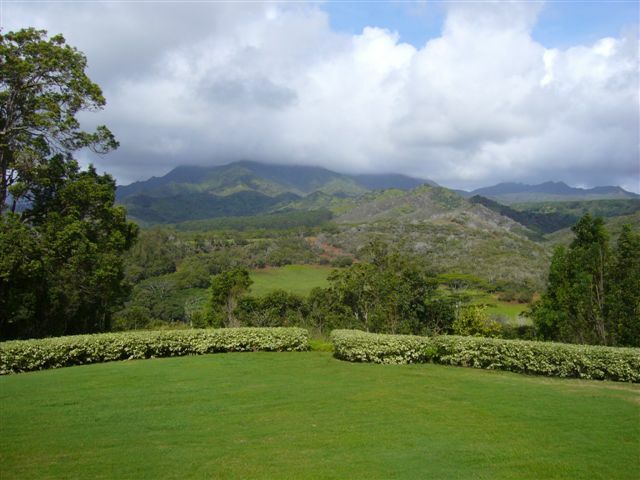 The guest house offers privacy and tranquility within the Ranch, yet is a short 15 minute drive to the charming town of Kapaa offering great personable restaurants and fun shopping. 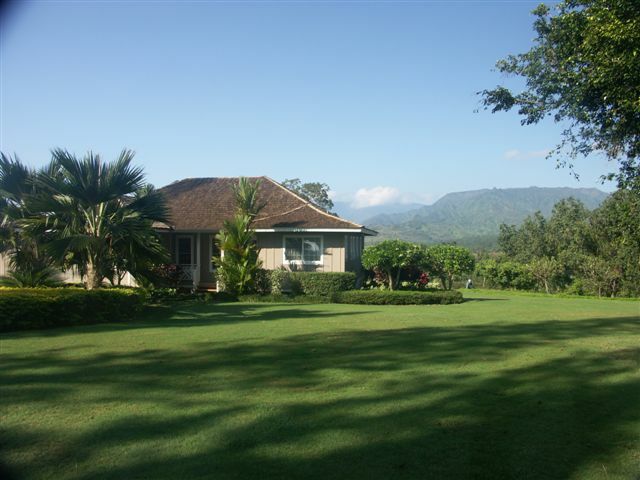 Kauai Ranch Guest House is beautifully built with hardwood floors and a fully-equipped kitchen. 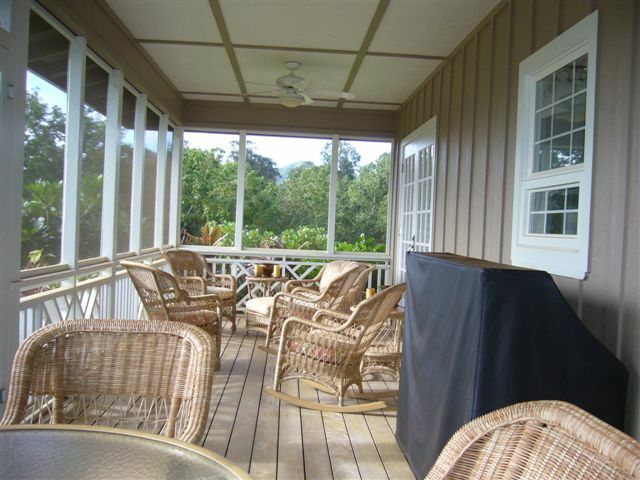 Off the kitchen is a large covered, screened in lanai with a comfortable dining area, barbeque grill and fabulous views of Kauai’s interior mountains and lush valleys. 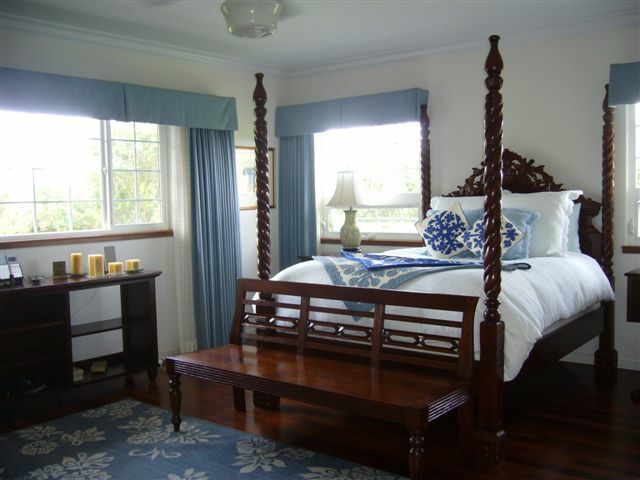 The master suite has a queen sized four-poster bed and a private bath with double vanity and shower/tub combo. 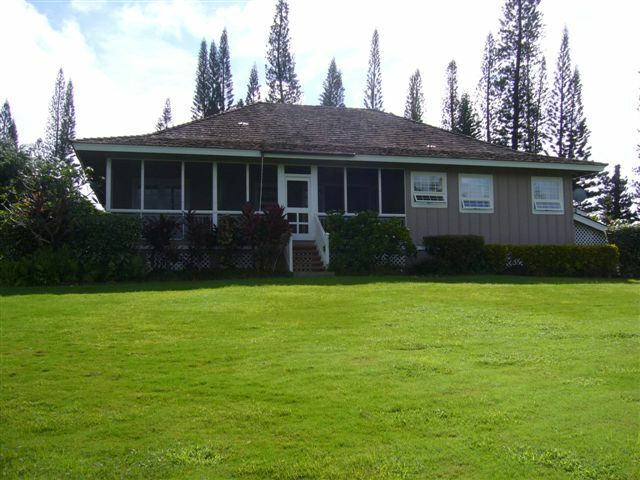 There are 2 additional bedrooms, each with queen size beds. 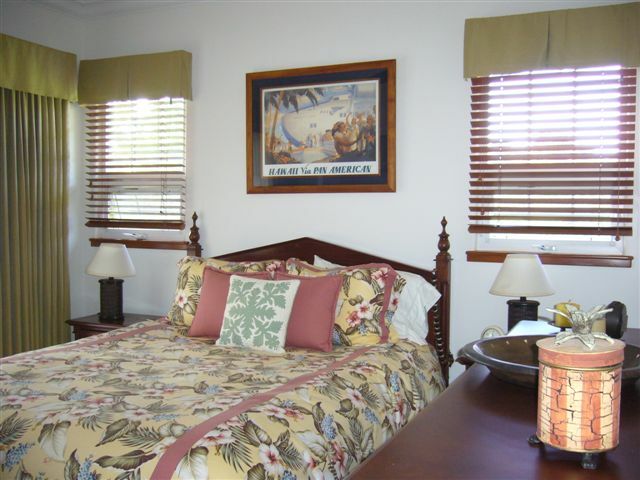 All the bedrooms are equipped with ceiling fans. 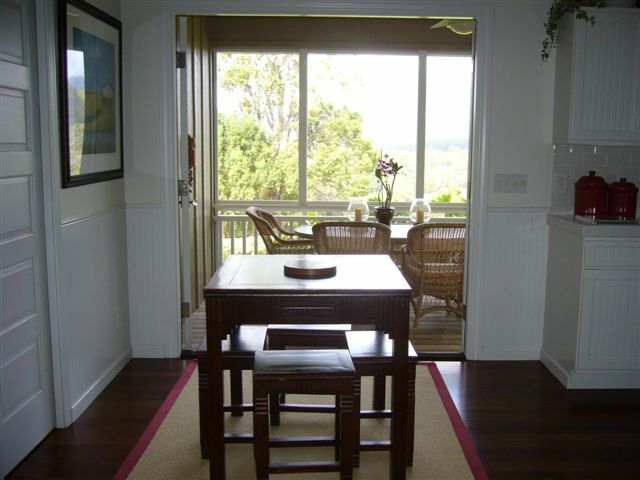 In the hallway you’ll find the second bath, which has a shower/tub combination and a single vanity. 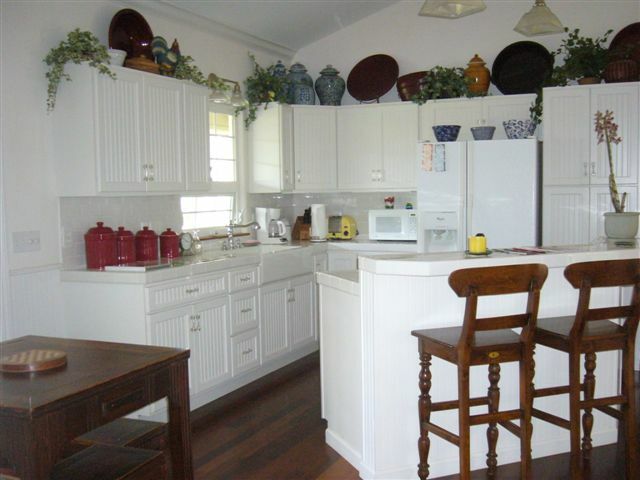 The washer and dryer are located in the 2 car garage.